Part 2 of the Jefferson Lake trip with the Siberian Huskies, you can see the video on Youtube. Absolutely gorgeous image. The light, colors and clarity. Amazing! such gorgeous dogs. excellent image. They are so gorgeous, especially in their native element. Great capture. Great composition with these colours and details. love the shot…wonderful clarity and colour! They're so pretty. Exceptional portrait. 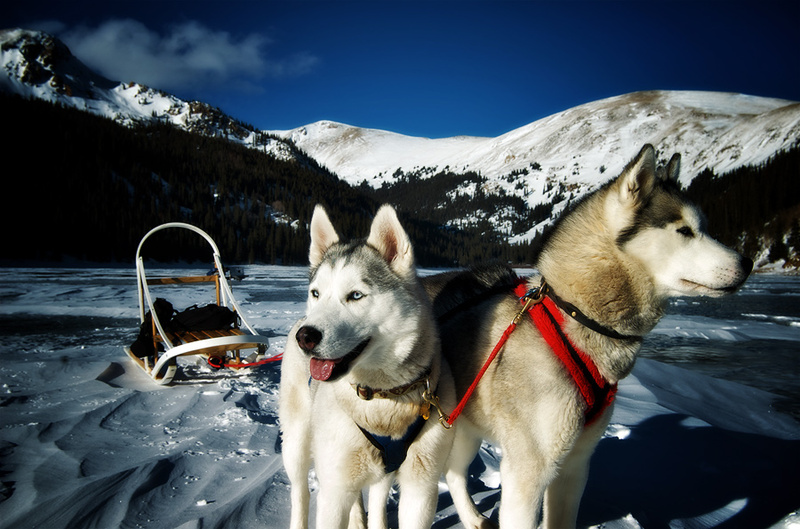 Wonderful image of this noble and great looking huskies. Excellent sharpness and clarity. this image has a very special light and color situation, I guess the sharpness does the rest to make this look very awesome to me. Wow ! Excellent ! I like the deep blue of the sky and the two majestic dogs. Amazing portrait of these beautiful dogs. I love the high contrast and the warm colors. Great VFXY post. Love the light. I met these dogs in Longyearbyen! Superb picture! Light sublime! I looked at your portfolio and I'm really a fan! Incredible images! Post-treatment bold! It's breathtaking! But my English very bad!